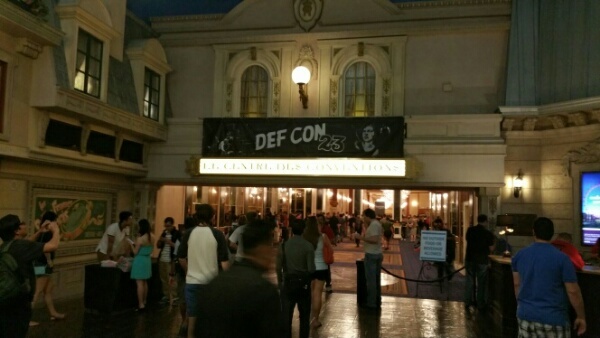 DEFCON is on at Ballys and Paris in Las Vegas! Arriving a few days before, DEFCON started with a resounding whoosh! The entrance to the Ball rooms at Paris was the kick off to DEFCON with Registration and lines. The lines were all contained in the Grand Ball Room at Paris so the hallways were not as clogged. Initially, there was a very congested hallway, but it soon got under control. As the days progressed, it seemed that the GOONS and Hotel Security worked it all out. This can be a good thing. The opening day after obtaining the "badge" and hitting the swag, wasn't all that bad. However, this would all change the morning of Friday the 7th of August. Somehow control was lost and it took yours truly 45 minutes to walk 15 feet. It was also discovered that there was only 1 entrance and exit from the Ball Room area. Not planned out well if you ask me. But by Saturday the 8th of August, it was again back under control. Let's only hope that next year is a better initial organization for attendees than just a mish mosh of traffic and bodies. Oh and speaking of bodies, please people take a bath before you get into the lines. DEFCON is on, but Sushi Con was on even more! A group of people who were associated with CSFI and friends all met up at Todai in Las Vegas for the annual Sushi Con. 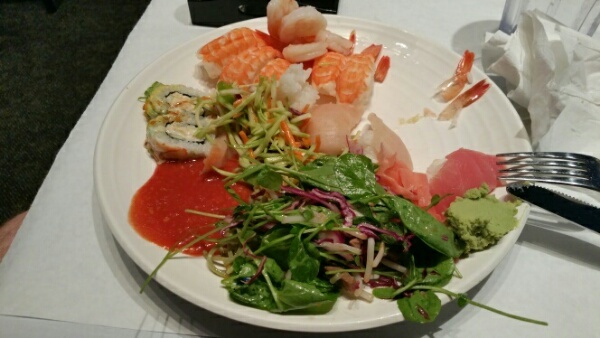 Started by members of CSFI, it involves hanging out with some incredibly great people who all enjoy some good Sushi. Yeah, I know, we are in the Desert in Nevada to eat Sushi. Does sound strange, doesn't it? It's not at all. Just some like mind people who enjoy Sushi and the company of those they have come to know of enjoy being with. This year was no exception. New people who just joined CSFI were also in attendance. Overall, a great and awesome time. Security researchers have discovered a very serious flaw in Android operating systems for Smart Phones, tablets, etc. My thoughts are this. With Android being in the mainstream for the last almost 10 years now, you mean to tell me that this only was found recently ? I don;t know and can;t answer that. I will be at DEFCON in Las Vegas and will pose this question. Inquiring minds want to know how long this vulnerability has been out there and why now all of a sudden it is discovered? Is this a serious blow to Android giving Apple an advantage to catch back up? I seriously doubt that. The only real issue here is how fast can these carriers push out an update. We all know that Android is patched and updated on a regular basis but the service providers (Verizon, AT&T, etc) take forever to push these out to their clients. Hmm, maybe on the way home while stuck in traffic I might make a call to my cell provider and see what their stand is on this exploit ? Hmmm.... I'll update this article with mroe information as I obtain it from the provider.